We want to provide options that embrace student and professional, resident and visitor, all in one place. Baltimore Station 2 offers modern co-living and private apartments with furnished and unfurnished options in one development, addressing a variety of residential scenarios. Ground-floor retail and social and recreational spaces are integrated into the development with the building often blurring the line between inside and outside. Located on vacant land with no history of any previous buildings, the project demonstrates a creative option for living in Milwaukee Junction, a neighborhood with a legacy of manufacturing. Baltimore Station 2 is centrally-located in the city with a QLine stop and Amtrak train station connecting Detroit to Chicago and Toronto at its front door. 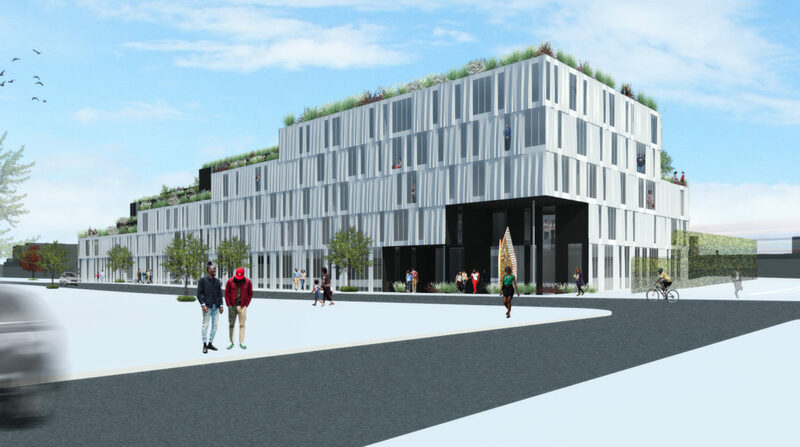 The project is, moreover, within walking distance of two major educational institutions, the Center for Creative Studies and Wayne State University. On Community Engagement: We participated in a variety of community meetings to rezone this site from parking (P1) and industrial (M4) to mixed-use development (SD2). We continue to build relationships to make ambitions – such as a composting partnership with neighboring urban farms – come to life. On Design Excellence: Architecture and landscape are intimately connected at Baltimore Station. 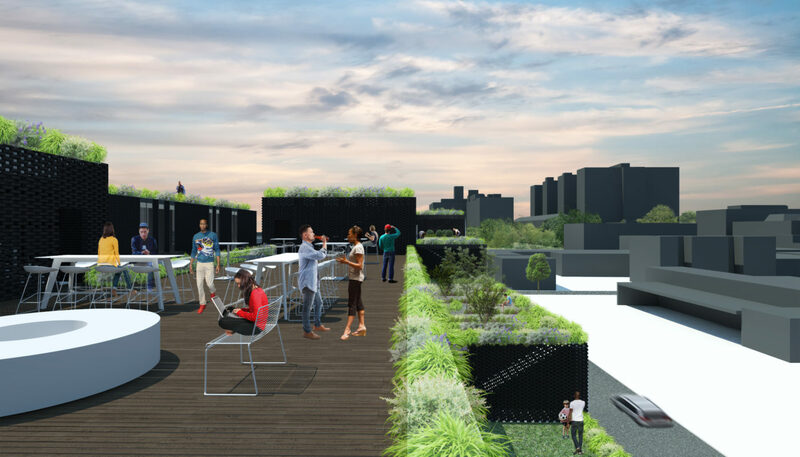 The courtyard is key to the design strategy with co-living units acting as ‘building blocks.’ Units are stacked to maximize views of the city and interactions between people from indoor to outdoor. The building’s material palette is inspired by the neighborhood –a modular metal panel system echoing the history of automotive manufacturing in Milwaukee Junction and brick textures that recall the art deco buildings of New Center.